Home » The Market Report: What is FATCA? When it begins on July 1, what can we expect for the dollar? The Market Report: What is FATCA? When it begins on July 1, what can we expect for the dollar? As July 1, 2014 approaches, clients are asking us about FATCA, the Foreign Account Tax Compliance Act. They’ve heard stories in the news about this new law causing the “collapse of the dollar” and they’re understandably concerned. 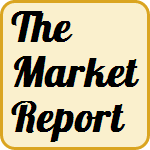 In this week’s Market Report, we answer your questions in plain terms: What is FATCA? And how might it ultimately affect all Americans? You have to hear what Phillip Patrick and Will Hart say in this week’s show. Mark Alyn: This is the Miller Report from Birch Gold Group. Hi, I’m Mark Alyn. We’re going to talk about some really fascinating topics today with our guests, Phillip Patrick from the Birch Gold Group along with Will Hart joining us here at our Miller Report studio. Gentlemen, welcome to the Miller Report. Will Hart: Hi, thank you. Mark Alyn: Hi, we’re going to talk today about something known as FATCA. That actually stands for the Foreign Account Tax Compliance Act and I believe it goes into effect in weeks, really, July 1st. Phillip Patrick: You are absolutely correct Mark, it comes into effect July 1st. What it is, it requires any Americans with more than $50,000 in foreign assets to report them, essentially, to the IRS on an annual basis. Mark Alyn: So somebody has money, I’m going to say, stashed away in the Cayman Islands, more than $50,000 or a Swiss bank account. They are required now by this new act to report that they have that money in there. Phillip Patrick: Absolutely correct. It requires individuals to report back to the IRS and it actually puts a lot of pressure on foreign financial institutions to adhere to these laws. And I think that’s where a lot of the issues are coming from. Mark Alyn: How are they putting pressure on these foreign banks? How does the United States have jurisdiction, say, over a bank in the Cayman Islands or Switzerland? Will Hart: Absolutely. So, basically, banks are going to be required by the United States law to provide account balances, total assets, account numbers, transactions, and we don’t know how other countries are going to deal with that. Are they going to respect that? There might be some pushback. Mark Alyn: Pushback from the foreign banks. Will Hart: Absolutely. And I think that’s the biggest concern that a lot of people have. Nobody knows how this is eventually going to play out. Mark Alyn: Does the U.S. have any pushback themselves if these foreign banks don’t comply? Phillip Patrick: Absolutely, yeah. They can be subject to penalties as high as 30 percent. So certainly there’s pushback there. Mark Alyn: Explain that Phillip. In other words, if they have interest rates on 30 percent, once they find that, you know John Smith has money in their bank, they can be dinged, and they can be fined that kind of percentage? Phillip Patrick: Absolutely correct, yeah. And not only that, that’s talking about banks that don’t comply. Even for banks to comply, it is a logistical nightmare. They’re suggesting that costs on the private sector are actually going to dwarf any amount of additional tax revenue here in the United States. And a lot of foreign banking institutions, now, are suggesting they could divest from U.S. assets all together rather than bearing this cost. Mark Alyn: Wow, Will, what is your take? Will Hart: Again, this is such an unknown, this has never happened, ever. And so a lot of people believe this could be the tipping point where countries may say, “You know what? We don’t respect the dollar.” And we already see how people are kind of shying away in other countries with the U.S. dollar. This may be something that may put pressure on the world reserve currency. Mark Alyn: We know that China and other countries are divesting themselves of dollars. We’ll talk about how that affects us here in the United States in a moment. They’re investing more in precious metals. China is just one, a lot of companies and even educational institutions are divesting themselves of dollars, going into gold and silver and other precious metals. How do you think this is going to affect the dollar itself? I mean we in the United States want a strong buck. Phillip Patrick: It has huge implications, not only for the dollar, but for the bond market and the stock market as well. Currently we’ve got more than $21 trillion of foreign capital invested in American assets and markets with about $10 trillion of that being in the stock market alone. Mark Alyn: And what about the bond market? I mean not in terms of numbers but how is that going to affect the bond market? Phillip Patrick: Look, ultimately this is just detracting from the attractiveness of the United States in terms of a hub for investment. And at a time like this, that is the last thing that we need. I think this is really stepping over dollars to pick up cents, long-term. Mark Alyn: I’m going to ask you both, is it common for investors to invest in foreign countries? We know that other countries invest here, you just said that. And so investors here invest there, does that work? Phillip Patrick: Absolutely correct, of course. Mark Alyn: Right, and so this is going to, in my thoughts what you’re saying, is that it’s going to take the dollar and drive the value of the dollar down. Phillip Patrick: Ultimately, it certainly could have that effect. Will Hart: One thing that we do know is that this request by the United States government to these foreign countries, it potentially violates their own country’s laws and constitutions. So we’re asking for them to do things that they normally do not do. Mark Alyn: It’s against their local laws and regulations. Phillip Patrick: Correct, I mean certain countries are very reliant on the banking system for their economy, Switzerland being a very good example. Mark Alyn: I was just thinking of Switzerland. Phillip Patrick: And they have certain privacy laws in Switzerland that make it a very attractive haven for assets abroad and unfortunately we’re asking them to do things that aren’t beneficial for their own economy. Mark Alyn: This is the Miller Report, we’re talking about FATCA, the Foreign Account Tax Compliance Act, and Will I understand you have a good analogy for explaining this to people. Will Hart: Well, the analogy that I like to give people, it really pertains to a situation that you find yourself in and an alternative to what you may be able to do. I kind of look at the situation we are here with the government as being on the Titanic. And let’s say Mark, you and I are on the Titanic and we’re playing shuffleboard and we feel a rumbling on the side of the ship, we look over, we see an iceberg just left a gaping hole and water’s rushing in. Two options take place, one: we either just continue our game and hope everything’s okay, or, we make our way to a lifeboat, paddle out a hundred yards and wait and see what happens. If they end up fixing the hole, and everything works out fine, they’ll wave us back on board, we’ll go back on board and everything will be fine. But if the ship ends up sinking and we see thousands of people frantically panicking looking for lifeboats, we’re going to be grateful that we’re over in something else that’s possible outside the dollar. Mark Alyn: And as you know I don’t swim very well. When we’re doing all this, when we’re watching this unfold, it’s anticipated that the dollar will fall, the value of the dollar will fall. Will Hart: That is what they’re saying. Mark Alyn: That is what they’re saying. What can we as investors do to either beef up that buck or get out of the dollar? Will Hart: Well, one option is certainly precious metals. Metals, gold, silver, platinum, palladium, they’re outside the dollar. They are global. They’re not tied to the greenback. So, again, moving into something that’s been around for 5,000 years is certainly an option. Mark Alyn: And there is nothing, as I understand, that is backing up that greenback anymore. We’re off the gold standard. Phillip Patrick: Absolutely correct. Look, I think precious metals allow you to hedge yourself just a little bit. And in a climate like this when we have reserve currency status under threat, when our currency, long term, is looking less attractive, it seems like a good idea to take a prudent step. Mark Alyn: So let’s take a look at this. With FATCA coming, it’s weeks away, why should I invest in gold? Why should an investor take this opportunity to invest in gold? Will Hart: Sure, I’ll kind of field that one. So basically, the concern, of course, is that nobody knows its outcome. How are countries going to react? Could it be potentially the end of our fiat currency, of the world reserve currency? Nobody knows, this is unchartered territory. And so with precious metals, again, you’re not just sticking with one thing. If the dollar does end up having issues, and you’ve got a pile of gold and silver, you’re kind of protected there, at least from the devaluating dollar or possibly the failure of the dollar. Mark Alyn: So that actually what you’re doing is preserving your spending power, your buying power, your living power, by investing in gold because gold, ostensibly, is going to go back up. Or at least stay where it is. Right? Mark Alyn: Phil, did you have something else to add to that? Phillip Patrick: Look I think that everything Will said is absolutely correct. He touched upon something with regards to a loss of reserve currency status and I think that’s key to this as well. We are making it less attractive every single day to have the dollar as the world’s reserve currency. Legislation like this only really pushes to accelerate that. If that were to happen, it is very, very difficult to come back from that. So I think putting together a prudent hedge within a portfolio is a very good idea at this time. Mark Alyn: The word “hedge”, we’ve used that, “A hedge against inflation.” Now this is a hedge against the devaluation of the dollar. So that precious metals of all kinds can help preserve the buying power of the buck. Will Hart: Correct, there has got to be a reason why countries around the world, Russia, China and India, are stockpiling gold into their central banks. I don’t think they’re doing it because they have nothing else to do, I think they see around the corner before you and I even see the corner. Mark Alyn: And of course what we can do is take advantage of what they’re doing, as individual investors and basically copy their strategy. Phillip Patrick: Follow the smart money. Absolutely correct. Mark Alyn: Gentlemen, thank you very much for joining us. On our next program, we are going to be talking about your IRA, your retirement funds and the potential confiscation of those. They’ve done that in Poland, and they’re possibly thinking about doing that in the U.S., nationalizing retirement funds. We’ll be talking about that on the next edition of the Miller Report. This has been the Miller Report from the Birch Gold Group. We invite you to ask us questions by writing us an email at info@www.birchgold.com, that’s info@www.birchgold.com. Visit us at our website of course, we’ve got lots of great information there. That’s at www.birchgold.com, www.birchgold.com. Or call one of our gold specialists, you can talk one-on-one by calling (800) 355-2116. That number again is (800) 355-2116. I’m Mark Alyn, thanks for listening, we’ll see you on our next edition. Bye-bye for now.